Ski Holidays to Banff in Canada 2017 & 2018. If you like big skies, big mountains and big skiing, then Lake Louise and Banff areas are certainly going to tick all your boxes. Your Tri Area lift pass covers the three ski areas…Lake Louise is a 45 minute ski bus ride up into the mountains, Mount Norquay is a 10 minute ride and Sunshine Village is a 25 minute ride from the villages of Banff and Lake Louise. The regular ski bus is included in the price of a tri area lift pass and usually operates from most of the hotels in both villages, so getting out onto the fabulous slopes really is not problem. Banff sits in a National park in the heart of the Canadian Rockies and the snowfall here is regular and recorded as reaching on average 30 foot of powder snow every season. Holidays here are excellent value for money and the skiing in Canada is amazing regardless of your level and ability. The scenery is outstanding and the long wide, tree lined runs are breathtaking. Lake Louise, also set in Banff’s National park offers a huge choice of runs especially suited to beginners and intermediates, and again the views from the lifts are simply beautiful. Beginners in the Banff, Lake Louise areas are superbly well catered for with over 63 wide cruisy greens and blues to try and build up confidence on. Lake Louise has a fantastic ski school and a Kiddies Campus offering a variety of options for the little people. 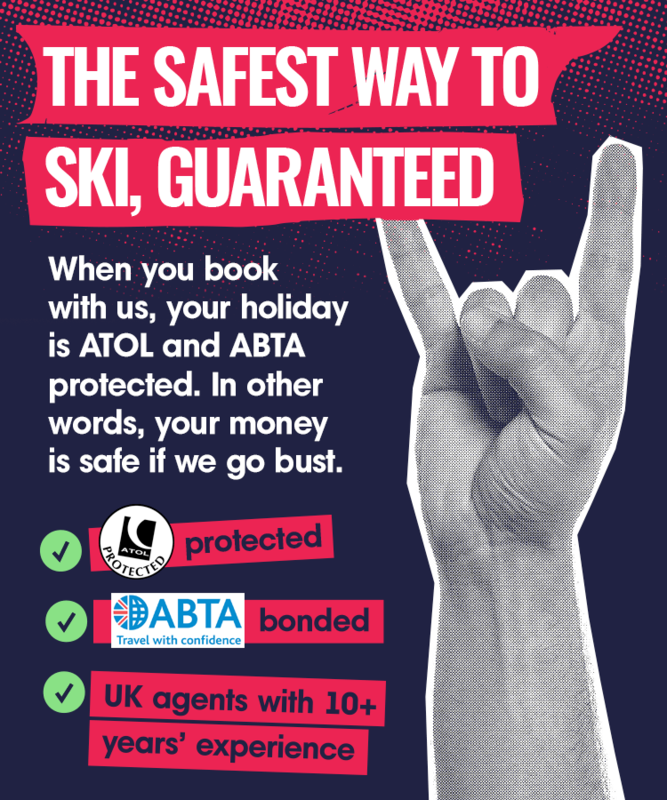 Many operators offer kids ski free when you buy an adult all area lift pass too, so watch out for a bargain or two. Intermediates should start with some fast cruising at Norquay, then head off to Lake Louise or Sunshine which both offer fabulous long, well groomed runs to test your skills. Over 250 various reds and difficult blues will certainly keep you busy. Advanced skiers may like to try the North American chair at Norquay for steep mogul runs, while Sunshine and lake Louise have huge black bowls and a world downhill run to push even the most experienced skiers to their limits. Snowboarders will not be disappointed either, all three areas have their own ski park and half pipes and kickers….so there’s no one going to come to Banff and Lake Louise and be left out. Banff is a friendly Canadian town with a great choice of lively bars and restaurants and some fabulous shops to browse around, and contrasts well with Lake Louise with its more traditional feel, quiet bars and cosy restaurants. Non skiers have an abundance of options to entertain, for example, snow mobiling, dog sledding, day trips into Kicking Horse resort or maybe relaxing in one of the many hotels spa’s and hot springs. Skiing in Banff and Lake Louise will take you to a vivid, buzzing resort offering some of the worlds most beautiful scenery and fantastic ski conditions and with many last minute deals to be picked up, it really is quickly becoming one of the best selling ski destinations.